Click image to enlarge Canoe Ridge, Washington. Image taken September 26, 2003. 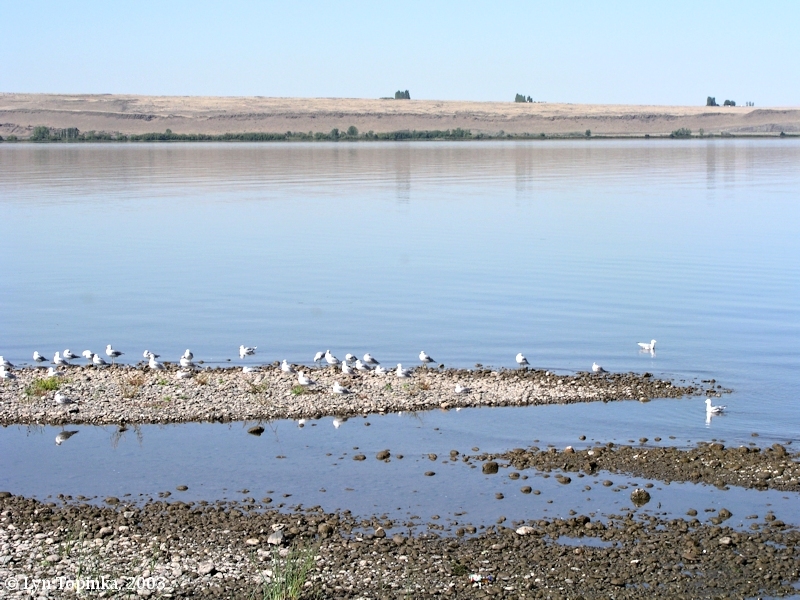 Canoe Ridge, Washington, follows the Columbia River shoreline and extends from upstream of Alder Creek and Crow Butte, to downstream of the Blalock Islands. At its base lies Whitcomb Island. 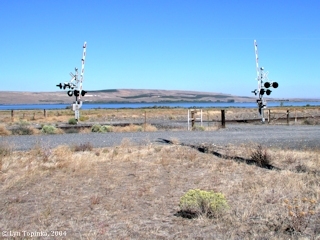 Across the Columbia River on the Oregon side is located the town of Boardman. Today, Canoe Ridge, along with downstream Alder Ridge, is becoming prime vineyard area. 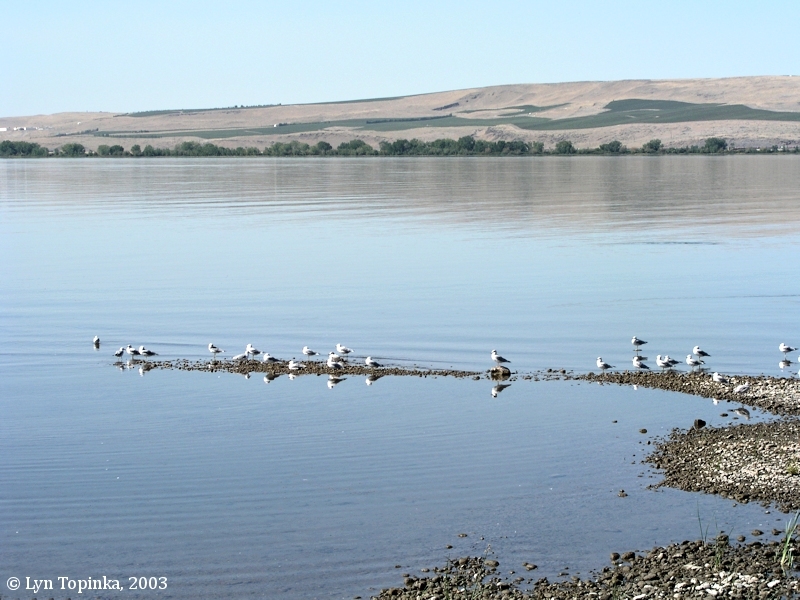 Canoe Ridge is one in a series of anticlines occurring along the Columbia Hills Uplift, a part of the Yakima Fold Belt of the Columbia River Basalt Group. As is typical for the region, Canoe Ridge is underlain by an extensive series of thick Miocene-age flood basalts interbedded with sedimentary rocks. The 1906, USGS 1:125,000 Blalock Island Quadrangle, shows a flat floodplain at the base of Canoe Ridge, with "Canoe Encampment Rapids" located immediately upstream of Crow Butte (which wasn't an island in 1906, but part of the Washington shore), where Crow Butte constricted the Columbia. These rapids are now submerged by Lake Umatilla, the reservoir behind the John Day Dam. 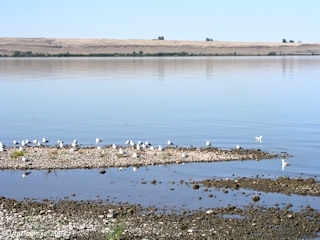 The flat floodplain is now Whitcomb Island, a part of the Umatilla National Wildlife Refuge, which separates Canoe Ridge from the Columbia River. Click image to enlarge 1906 Topographic Map detail, Crow Butte, Canoe Ridge, and Canoe Encampment Rapids, Washington. Detail from "Blalock Island Quadrangle", 1906, 1:125,000, original map courtesy University of Washington Early Washington Maps Digital Archives. Canoe Ridge forms the backdrop for the Whitcomb Island Unit of the Umatilla National Wildlife Refuge. 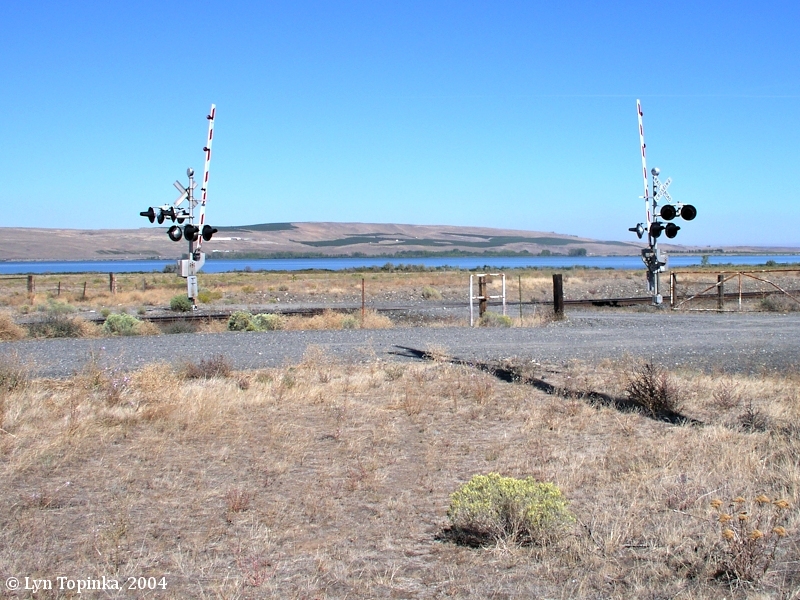 Click image to enlarge Canoe Ridge, Washington, and Whitcomb Island: Canoe Ridge, Washington, as seen from Tower Road, Oregon. Whitcomb Island is barely discernable along the shoreline (green at base of Canoe Ridge). Image taken September 24, 2004. 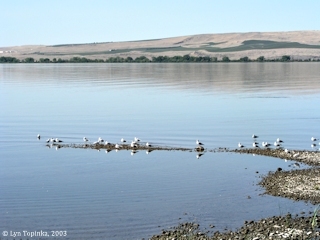 Click image to enlarge Canoe Ridge, Washington: Columbia River as seen from Boardman, Oregon, looking across part of the Umatilla National Wildlife Refuge (Columbia River Unit). Canoe Ridge, Washington, is in the background. The Whitcomb Island Unit of the Refuge is the greenery along the shore. Image taken September 26, 2003.